In Francesco Clemente’s installation, thirty-two jewel-like watercoloured self-portraits face a dramatic new painting called Pantheon, the largest single canvas the artist has ever made. 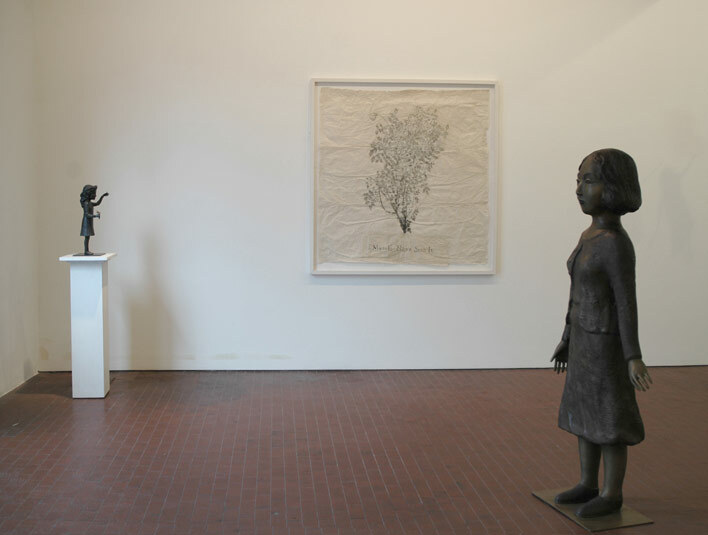 Kiki Smith presents sculptures in bronze, iron, and porcelain, as an homage to the female spirit, as well as drawings beautifully rendered in pencil and coloured with the artist’s blood. Manfredi Beninati’s work hangs in a delicate balance between sweetness and disconcertion, referring both to children's toys and to the sculpture of 19th century Italian artist Medardo Rosso. Richard Long’s sculptures are made from the stones that pave Roman streets – “sampietrini” – as well as rose-colored stone from Puglia, along with photographs of landscapes that document the artist’s presence in nature. Sam Taylor-Wood introduces a series of large photographs: Self Portrait Suspended and a series of small lightboxes: The Passion Cycle.